Blizzard has been more than open about the fact it’s exploring on how to make the latest Diablo entry work on consoles with a large number of vacancies posted relating to the PS3 and Xbox 360 development. It’s no surprise that there’s a lead designer on the case, but Blizzard has always stressed that a console version of the game has not officially been announced. 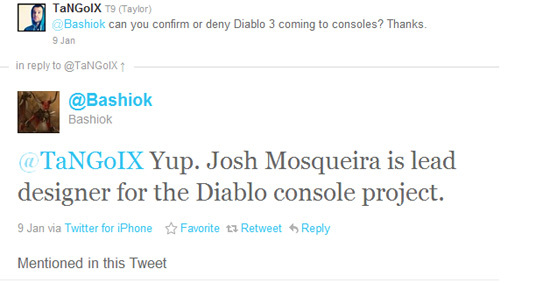 While it doesn’t constitute an official announcement, the confirmation appears to suggest that Diablo 3 will arrive on consoles in one form or another.